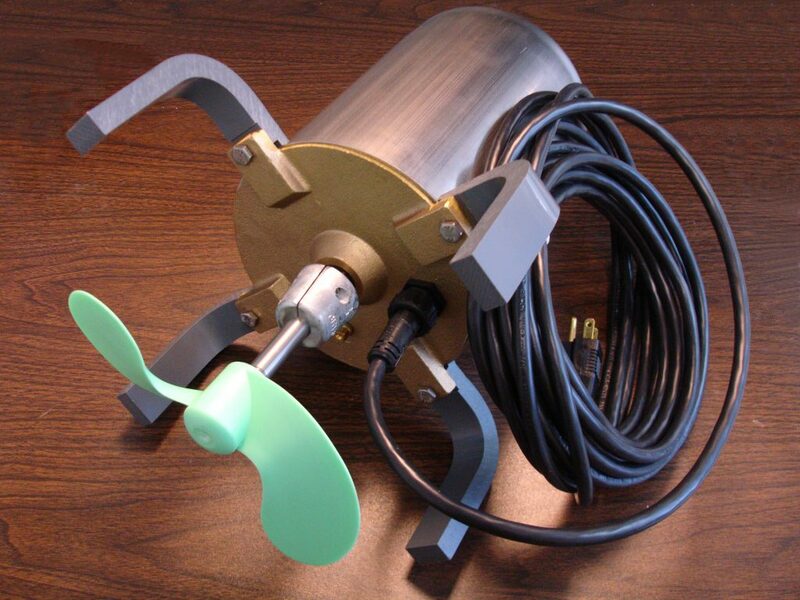 The Muck blower/aerator is designed to create a current of water. This current will, like a nature current, will move muck, silt, surface and suspended debris and ice away from wherever it is pointed. This might be your swimming area, dock, marina or pier. 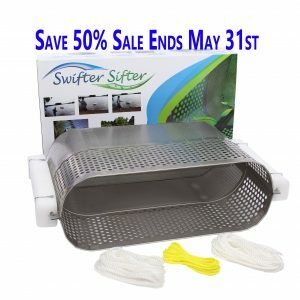 Redirect the blower up toward the surface of the water and turn it into an aerator. This truly is an amazing tool. It does for you what mother nature might do in other parts of your lake, pond or river. 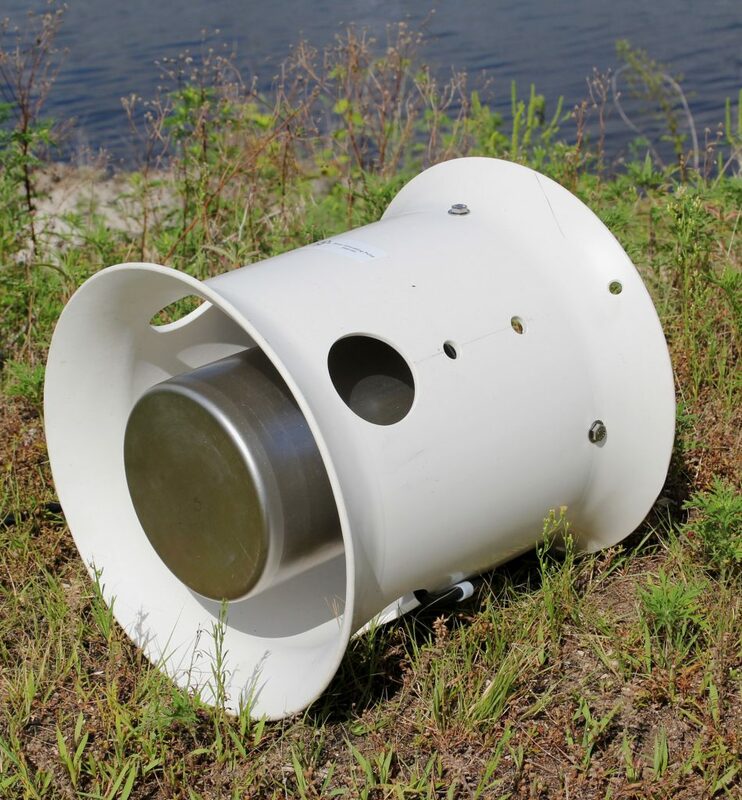 The current created by the blower also prevents fine silt and sediment particles from settling near your swimming area, marina or near your dock which ultimately forms muck. It is a very simple device to install. 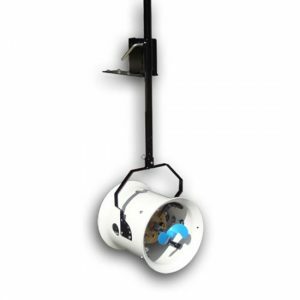 It comes with an electrical cord and a dock mounting bracket available as an accessory. You might see other devices that rotate the blower but, you are just paying extra money for unnecessary features. If you already have a muck problem just point the unit in the area you want the muck removed from. Once the muck is gone from that spot turn it to the next area. After that, you might need to turn the unit on once a month for maintenance. There is simply no reason to run it all the time in most instances. 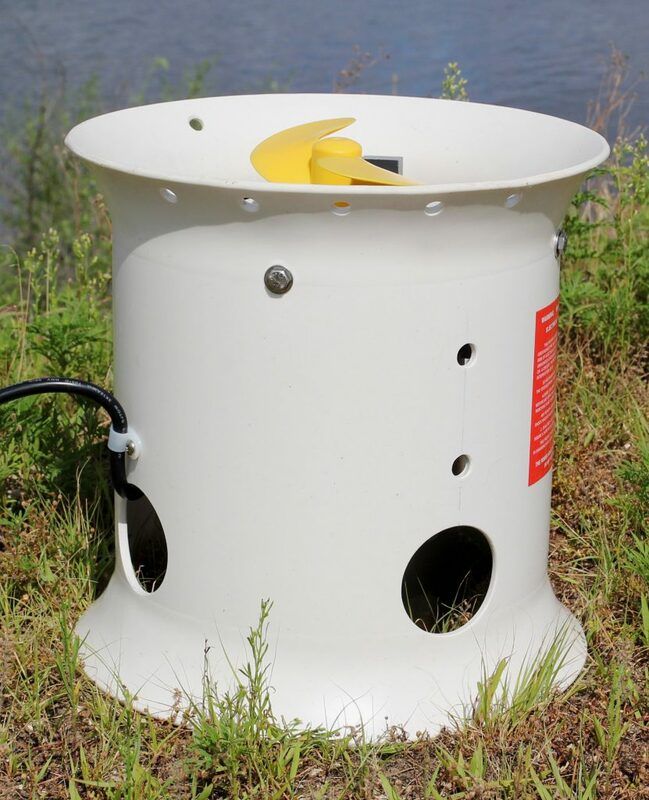 The Muck Blower is also very effective in removing debris that accumulates in the water column or near the water surface. 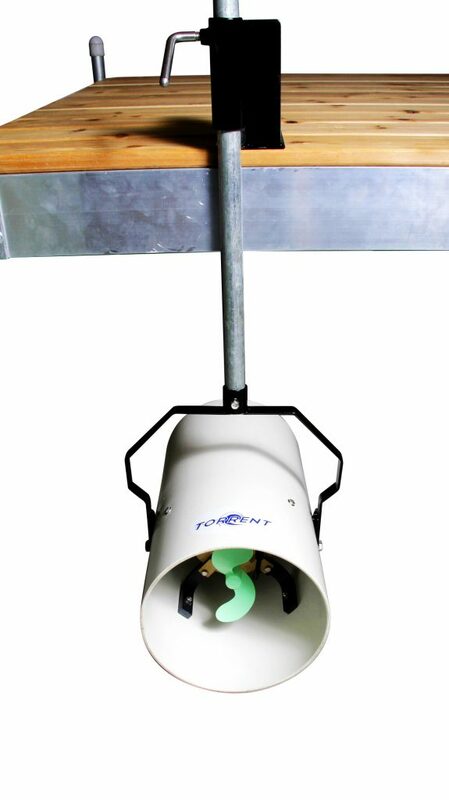 If you are unfortunately located where lots of debris blows into your shore, dock or marina, the blower can be used continuously to maintain a steady current. The Muck Blower can be used as an aerator. 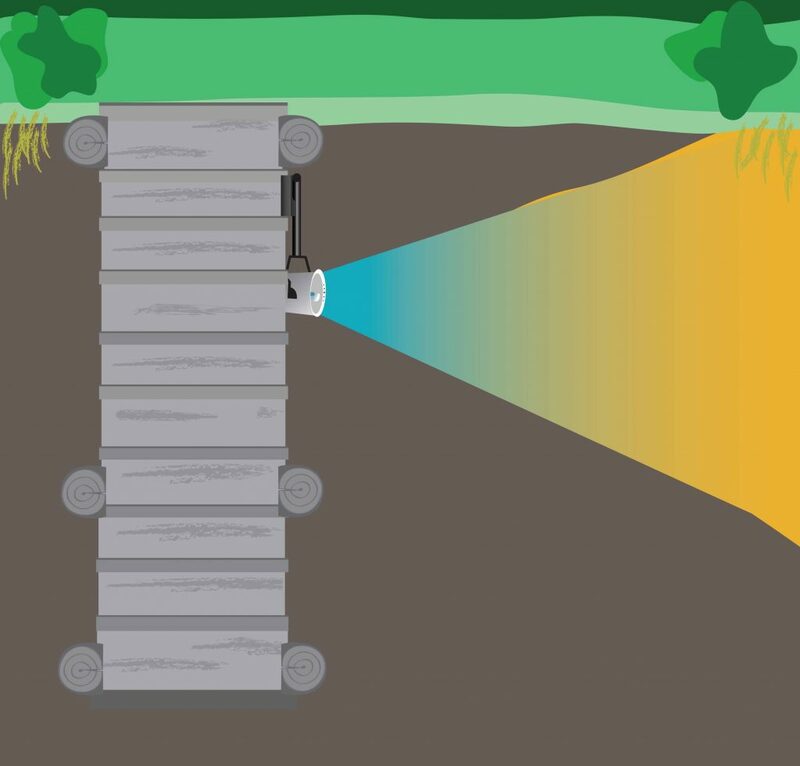 How do most aerators work? They break the surface of the water over and over again to bring as much water in contact with the air as possible. This would be similar to the rapids in a river or stream. The more the water surface mixes with the air the more oxygen is put into the water. The higher the oxygen content the better it is for the health of your lake or pond. 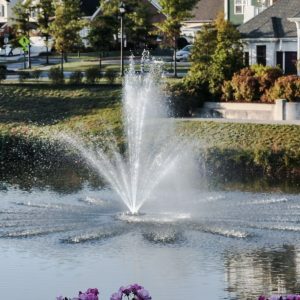 Oxygen helps naturally occurring bacteria break down excess nutrients which will reduce algae, and accelerate the breakdown of decaying weeds in lakes and ponds. This will, in turn, reduce muck accumulation. 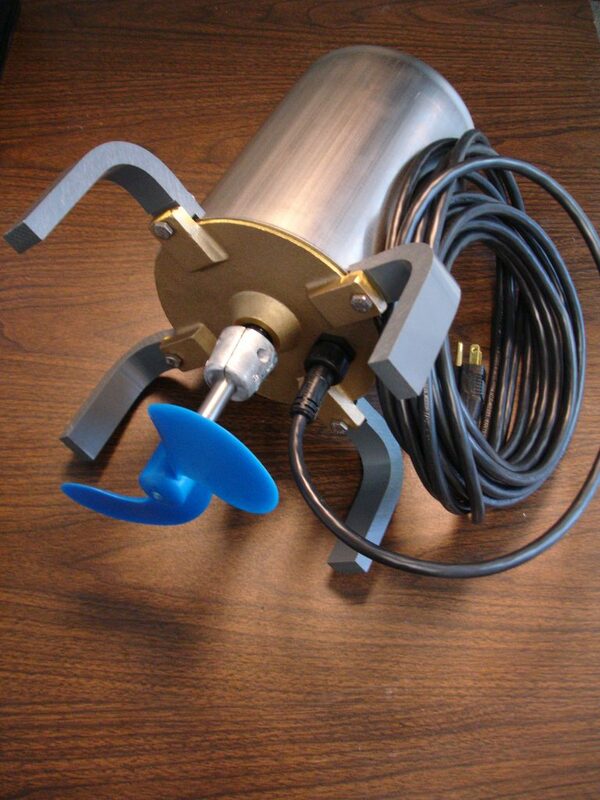 In the winter months, the Muck blower can be used to keep ice from accumulating around your boat or dock. Two to three feet is the average operating depth of the blower. 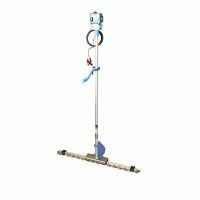 This product is compatible with 115V and 230V power sources and comes with power cords of 25, 50, 100, 150 and 200 feet in length. The motor is encased in a stainless steel housing with a bronze motor facing. It is a very well built motor. Motors with cords longer than 150 ft must be 230V. Please call to place your order for motors with 230V. 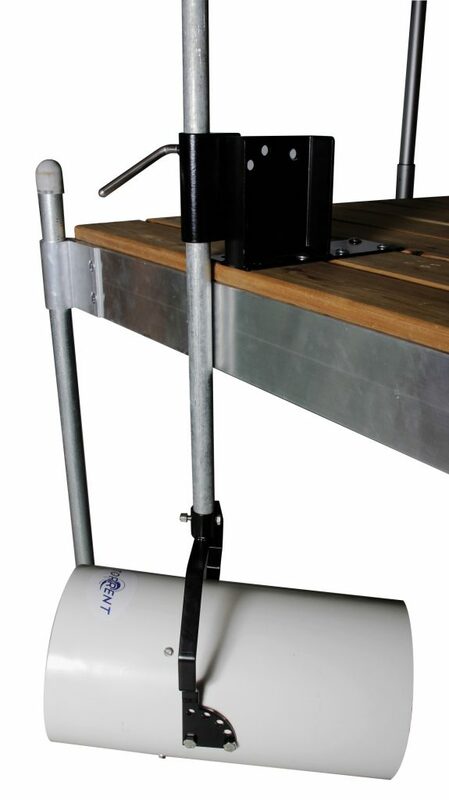 *The hardware required for mounting the motor to a stationary location (dock mount) is sold separately. 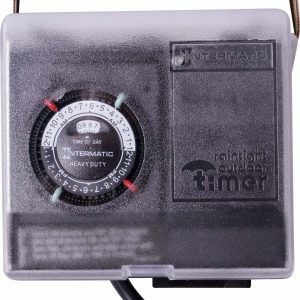 Know your states regulations when it comes to using this product. 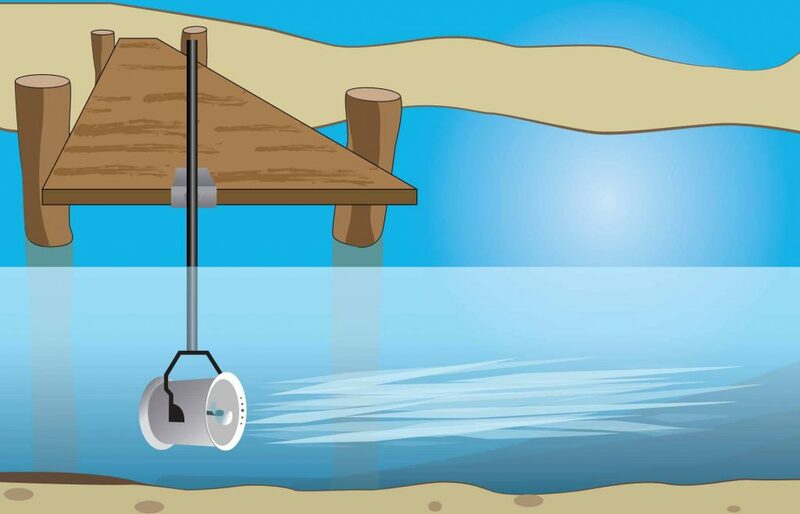 Some states restrict the use of underwater blowers for sediment redistribution.